(a) Landlord hereby leases to Tenant and Tenant leases from Landlord for the term, at the rental, and upon all of the conditions set forth herein, that certain real property situated in the County of _________________________, and the State of _____________, commonly known as __________________________________ which is more particularly described in Exhibit A attached hereto, and incorporated herein by reference. Such portion of the Building, together with all areas appurtenant thereto for the exclusive use of Tenant shall be referred to herein as the ‘‘Premises" or the "Leased Premises." The Building is located in an industrial park commonly known as _____________________, which is referred to herein as the "Project". (b) The amount of Usable Square Feet in the Premises is: ______________. (a) Landlord and Tenant hereby acknowledge that there shall be no distinction in this Lease between “Building Standard Work and “Building Non-Standard Work” inasmuch as Landlord hereby agrees to provide Tenant with an improvement allowance in the amount of $ _________ per usable square foot of the Premises (“Improvement Allowance”) to be applied toward the “Costs” (as defined below) of construction of the improvements (the "Tenant Improvements”) to be installed in the Premises, as the Tenant Improvements are described in the “Plans” (as defined below). The total Improvement Allowance shall be $ ________. As used herein, the term “Costs” shall mean and refer to all costs expended by Tenant relative to the construction of the Tenant Improvements which shall include, without limitation, costs of equipment, materials and labor, contractor’s field overhead and fees, governmental agency fees, engineering fees, testing and inspection costs, the cost of any requirements regarding construction which are imposed by an federal, state or local governmental entity or agency, Tenant’s direct field supervision fees, sales and use taxes (but not real property taxes), permits, plan check fees, bonds and other costs directly related to the construction of the Tenant Improvements. (b) Landlord shall prepare or cause to have prepared final plans and specifications for the Tenant Improvements within fifteen (15) working days from the date of this Lease signed by Landlord and Tenant. “Plans” shall mean such final plans as may be changed from time to time. (c) Tenant shall prepare and deliver to Landlord as soon as reasonably possible after preparation of the Plans described in Subparagraph (b) above a non-binding preliminary estimate of the Costs of the Tenant Improvements (the “Budget”). Landlord shall use its best efforts to deliver to Tenant its written approval or disapproval of the Budget and Plans within seven (7) days after receipt thereof. If Landlord disapproves such Budget and Plans, Landlord shall use its best efforts to deliver to Tenant its written disapproval or modifications to any particular item contained in the Budget and Plans within seven (7) days after delivery of the Budget and Plans to Landlord. If Landlord disapproves an item in the Budget, Landlord may request that such item be deleted. Landlord’s approval may not be unreasonably withheld. (d) Landlord shall pay the Improvement allowance described in Subparagraph (a) above on a monthly basis for each current month as the work is completed and evidence of completion is documented and accompanied by delivery of contractor’s lien release for the prior month’s work. (e) Tenant shall cause the Tenant Improvements to be diligently constructed within forty-five (45) days of the issuance of a building permit, which building permit Tenant hereby agrees to use its best good faith efforts to obtain as soon as reasonably possible. 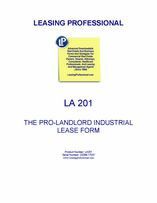 (a) The initial term ("Initial Term") of this Lease shall be for _________________ (_________________) years commencing on _________________ ("Commencement Date"), and ending on _______________, unless sooner terminated according to this Lease. (b) If Landlord fails to deliver possession of the Leased Premises to Tenant by the Commencement Date, Landlord shall not be liable for any damages resulting from that failure, nor shall that failure cause a termination of this Lease or Tenant's obligations under this Lease, except as otherwise permitted under this Section, nor shall that failure extend the term of this Lease. If Landlord has not delivered possession of the Leased Premises to Tenant within _________________ (_________________) days after the Commencement Date, Tenant may, however, cancel this Lease, by written notice to Landlord within ten (10) days after the end of the _________________ (_________________) day period; in that case, the parties shall be discharged from all obligations under this Lease, provided, however, that if the written notice of Tenant is not received by Landlord within that ten (10) day period, Tenant shall have no further right to terminate this Lease. Insert Base Rent for term here by specifying the rent for each year of term, or include another form of escalation device. (b) Tenant's obligation to pay Base Rent shall be prorated in the first and last months of the term of this Lease based upon the portion of the month during which Tenant occupies the Leased Premises. Rent shall be payable in lawful money of the United States to Landlord at the address stated in this Lease or to any other address that Landlord may designate from time to time. (a) The Premises shall be used and occupied only for ______________________ and for no other purpose. The use must be consistent with Federal, State and local laws and ordinances as well as any other requirements of the Covenants, Conditions and Restrictions. The use described in this Section 5 shall be subject to compliance with the provisions of the “Rules and Regulations” for the Premises as described in Exhibit “C” attached hereto and incorporated herein by reference. (b) Tenant shall, at Tenant’s expense, comply promptly with all applicable statutes, ordinances, rules, regulations, orders, covenants and restrictions of record, and requirements in effect during the term or any part of the term hereof, regulating the use by Tenant of the Premises. Tenant shall not use nor permit the use of the Premises in any manner that will tend to create waste or a nuisance or, if there shall be more than one tenant in the building containing the Premises, shall tend to disturb such other tenants.